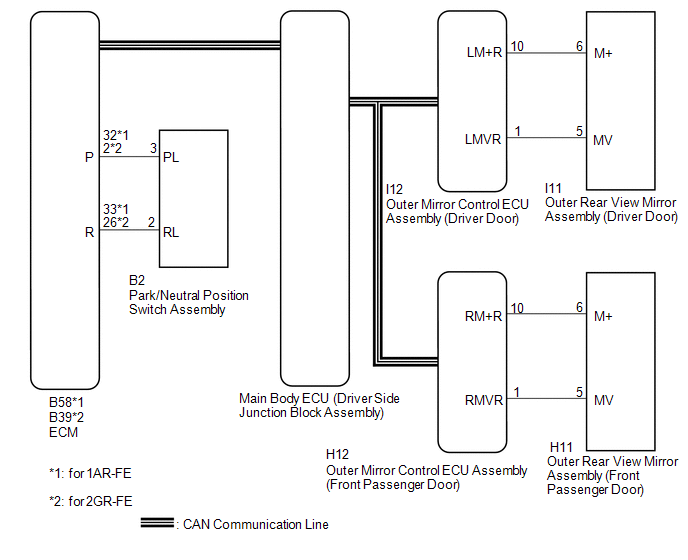 On receiving a reverse signal from the park/neutral position switch assembly, the ECM sends the reverse signal to the main body ECU (driver side junction block assembly) via CAN communication. When receiving the reverse signal, the main body ECU (driver side junction block assembly) sends the reverse request signal to each outer mirror control ECU. Each outer mirror control ECU then performs control in response to the reverse signal. 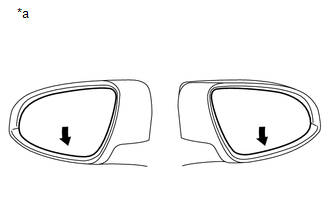 The reverse shift-linked function will not activate when the mirror select switch is in the neutral position (off). Memory and reactivation functions are normal. Memory function is not normal. Reactivation function is not normal. (e) Check if SFI system DTCs are output. SFI system DTCs are not output. (a) Check if the shift position indicator light in the combination meter assembly operates normally. The shift position indicator light indicates the actual shift position correctly. 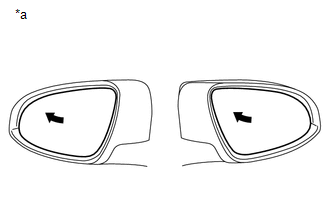 (b) Set the mirror select switch to L or R.
(c) Check that the mirror surface turns downward when the shift lever is moved to R.